Simply put, contractors use umbrella payroll companies to act as a traditional employer would: managing payroll, PAYE, chasing client payments, dealing with expenses and HMRC. Umbrella companies are ideal for contractors who don’t want the hassle of running a limited company and want an intermediary between themselves and their client. There are countless contractor umbrella companies to choose from, and their claims can sometimes be confusing. Some companies will also claim to be IR35 compliant, which is another impressive-sounding but meaningless credential – contractor payments are processed under PAYE and, as their contractors are registered as employed, they faII outside IR35 restrictions. Every umbrella scheme featured here has been selected for its transparency and clarity of purpose so you can select the best service for you. What is the definition of a contractor? In the UK, a contractor is a person who provides skills or services without being directly employed by any one client. By definition, contractor jobs are not permanent; they last for designated blocks of time, which can vary from one day to several months. Working as a contractor means you can offer your skills on a business-to-business basis and move very quickly, securing jobs within days rather than having to go through the lengthy recruitment process experienced by a permanent employee. A self employed contractor is paid a designated day or hourly rate and would expect their contract to come to an end on a mutually agreed date, which is confirmed in a formal written agreement. Limited company contractors often use specialised agencies to secure jobs, something which is not an option for sole traders due to Section 134 of the Income & Corporation Taxes Act 1988. Often, an independent contractor will work under a self employed contract. The main advantage of working in this way is that self employed contractors tend to pay less tax than their employed equivalents and can take home a greater percentage of their gross fee. A self employed contractor is not paid through PAYE and is responsible for their own contractor tax and expenses. Employment rights for self employed workers are not nearly as comprehensive as they are for traditional employees, with only limited protections afforded. However, contractors can be classed as employees if they engage the services of an umbrella company, who handle their tax responsibilities much like a traditional employer. In understanding the definition of a contractor, it’s equally important to know what they don’t do – there are several very similar employment terms that appear to cover the same ground but mean something different. The difference between a freelance worker and a contractor is that while both types of workers have to deal with the HMRC directly, a contractor typically works on site for one client at a time. The classic example of this would be an IT contractor. IT contractor jobs are usually centred around a particular project or to fill a gap in the company’s skill set. In contrast, a freelancer usually works from home, can take on several clients at once, often without a formal contract and typically specialise in jobs in the creative industries such as copywriting or editing. The key difference between a contractor and a consultant is that though both are highly skilled knowledge workers, contractors are usually brought in by clients to address a specific project or skills gap. Contractor pay is drawn at either a daily or hourly rate and then once the project is over, they will move on. A consultant’s work structure is different: they’re usually paid on a monthly retainer or a high day rate and while they will probably not work on site or every day, they are on-call anytime the client needs them. 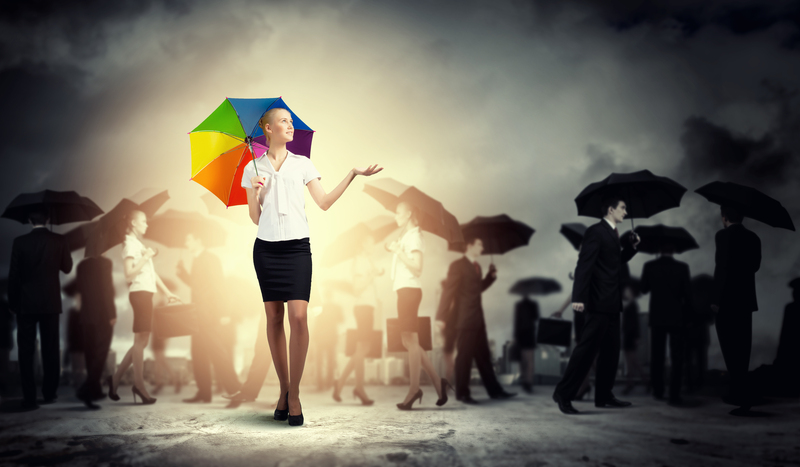 There are compelling reasons to use an umbrella company but whether or not joining one is right for you will depend entirely on how you intend to run your business and how much money you anticipate making. Plenty of contractors would argue that working with an umbrella company makes particular sense for contractors who are just starting out. The virtue of an umbrella company versus a limited company is that it takes care of the administrative side of your work, leaving you to concentrate on finding gigs and building your business. You will take home less than you would if you ran a limited company, but your administrative workload is greatly diminished and if you stand to earn less than £25,000 or plan to work under several short term agency contracts, then forming a limited company might be more trouble than it’s worth. Working with an umbrella company allows you to trial contracting to see if it’s a life that you enjoy. Setting up a limited company will mean you’re still liable for expenses like employer’s liability insurance and pension payments, even if you decide contracting isn’t for you. If you choose to work with an umbrella company in the UK, you will be paying both employee and employer’s National Insurance as well as an administrative fee. Being classed as a employee means that you get the protections and benefits afforded to them under the law. This means you’ll get things like holiday pay, redundancy and unfair dismissal rights and childcare vouchers. Paying that additional employer’s NI alongside employee NIC might sting but umbrella companies can save you money in other areas. An example of this might be allowing a salary sacrifice that results in a national insurance exemption on travel incurred by your work. There’s also a distinct advantage to being on an umbrella payroll if you plan to use several contractor agencies at once. It can be very easy for agencies to keep you on their books even if you’ve decided to accept work through a different company. This can result in your wages being classed as income from a second job, resulting in you having to pay a 20% on the pound tax rate. Using a contractor umbrella company means that you’ll automatically avoid administrative pitfalls like this because you’ll be kept on a consistent tax code. An umbrella company functions like a traditional employer and acts as an intermediary between you and an employment agency. If you acquire a job through an agency, a UK umbrella company will sign a business-to-business contract with that agency and you will sign a contract with the umbrella company, making you their employee in the eyes of the law. Many agencies have relationships with particular umbrella companies and will encourage a contractor to use the one with whom they’re affiliated. But there’s no need to be swayed – do your research so you can get the best umbrella services for your needs. As you embark on your new contract work, you will have to fill out and submit a timesheet to the umbrella company who will then bill the client on your behalf. You should also submit any expenses that you wish to claim, making sure to retain all your receipts. Umbrella companies don’t always ask for proof of your expenses but if HMRC should need to investigate, they look at the contractor, not the umbrella company, so don’t throw anything away! There are very specific laws detailing exactly what a contractor can claim on expenses, particularly when it comes to food and travel, and what is allowable is dependent on whether or not your contract is under the Supervision Direction and Control (SDC) of your client. You will need to clarify your expense allowance with your umbrella company before you begin your assignment. When you receive your pay, it’ll be on a regular schedule through a PAYE contract, with tax and national insurance deducted, along with a fee from the umbrella agency. There is no need to engage an accountant as all your taxation issues should be dealt with by the umbrella payroll company and you should receive P60 and P11D forms at the end of the financial year. If you have any additional expenses you can also claim them against your income tax at the end of the year. Be mindful of the small print – the introduction of AWR (Agency Worker Regulations) mean that if you are working with an unscrupulous umbrella scheme, you could find unexplained (and unlawful) deductions or low start up fees that escalate after a few months. Don’t be afraid to query your umbrella pay if you don’t understand the reason for a fee. How do I set up as a contractor? If you’re looking to set up a company, the first thing you have to do is legally define the type of business you intend to run. This is not about what industry you’re in, instead it’s about thinking how you intend to source your clients, the structure of your working life and how involved you want to be in the tax and administrative side of your contracting business. In the first instance, you have two options: registering as a sole trader or setting up a limited company. Sole traders are rare in the contracting business as various taxation laws make it difficult for them to work with agencies. Agencies require you to be a limited company because otherwise they are liable for any lost taxation you might incur. In addition, clients are often reluctant to engage a sole trader as it leaves them vulnerable to considerable cost if, in the event of an Employment Tribunal, contractors attempt to claim employees rights. Setting up a company as a self employed sole trader is easy and this is its key advantage. It’s also not a binding decision – you can register as a limited company at a later date, should you wish to do so. To become a sole trader, all you have to do is register with the HMRC, something that can be done immediately. You can contact HMRC and declare your intentions by visiting their online portal or by calling the HMRC Newly Self Employed Helpline on 0300 200 3504. Once you’ve set up a company and you’ve sorted your legally required business bank account and insurance, you can begin to seek out clients. You might do this through agencies, contractor job forums or approaching prospective clients directly. Make sure you have a sharply written CV tailored to each client’s expectations and be prepared to do a lot of networking! It’s the question every first-timer asks: how do I work out an hourly rate for my services that properly reflects my worth? It’s not as simple as converting a salary to a contract rate because unlike a traditional employee, you’ll be responsible for a whole host of costs and taxes specific to running your own business. A contractor salary has to include all your expenses and benefits. It is important therefore that you work out a rate that is sustainable and allows you to remain competitive in your marketplace. Your skill set – do you have any niche skills that make your presence more valuable? Your location – contracting in London and the South East will fetch the most competitive rates. Your experience – the longer you have been working in your chosen field, the more income you can potentially claim. Your industry – IT contractor rates will probably look a lot different to farm contractor rates – it sounds obvious but there’s a lot of misinformation online and it’s important to make sure your research is industry-specific. You will find talking to your colleagues helpful when you’re working out your own contractor rates. Find out what people with similar skills charge and then take this information to several different agencies. Learning to negotiate early on is a big step in how to maximise your income effectively. Sound agencies out as regards their going rate – remember that their goal is to make their margin as large as possible. It’s your job to make sure that their offer to you is just as lucrative – working as a contractor means that you cannot afford to underestimate your worth. Add a fixed amount to their quoted figure and see if they accept it. Regardless of their response, take the same offer to a several other agencies and gauge the average reaction. This will give you an idea of the general parameters of your industry and ensure that your quote is both fair and reflective of your talents. What do you need to become a contractor? The leap from permanent to contract work can be daunting but if you’re properly prepared, it can be a relatively easy process. There are four main areas that you need to consider if you’re contemplating how to become a contractor: clearing your work schedule, finding work, establishing your payment structure and making a contingency plan. The nature of contract jobs in the UK mean that opportunities can arise very quickly and you can find yourself signing a contract within days of hearing about a job. If you are still in regular permanent employment, you’ll find it incredibly difficult to pivot at the speed you need to get the best jobs. There are exceptions, but it is usually essential for a contractor to have left their permanent job before they start a contracting business. To find work quickly, you need to establish a network of contacts and have a high-impact CV that establishes your value in the contractor marketplace. You can contact employment agencies that deal with contractors, use online job boards and utilise your existing networks. You also need to think about where you will concentrate your efforts – for a UK contractor, contracting in London offers the greatest variety of jobs and is the most lucrative option, but you can make a decent living working elsewhere as long as you research the job market. Becoming a contractor means deciding what kind of business you want to run. Whether you choose to work with an umbrella company or run a limited company, you will need to establish your IR35 tax status so that you pay the correct amount to HMRC. As every UK contractor knows, when you run your own contracting business, you are solely responsible for every aspect of your personal and professional life, including providing yourself with holiday pay, sick pay and a pension. Before you start working as a self employed contractor, you need to know how you’re going to take care of yourself when you’re not working. Work out your bare minimum rate by taking account of both your regular monthly expenses and what you have to put aside for leaner times. The way you get paid as a contractor will depend on what type of business you have set up for yourself. You will have either joined an umbrella company which will invoice the client and pay you themselves, dealing with all the tax deductions for contract workers, or you will be a sole trader/limited company and you’ll have to invoice your client for your contracting work yourself. Your invoice will be based upon the payment terms you have agreed with your client. What is meant by payment terms? Payment terms refer to the time period you’ll allow for the client to pay the money they owe you. The law assumes 30 days payment terms, but you can specify a shorter turnaround than that: anything from 7 to 14 days are standard payment terms for contractors. Some clients even agree to paying contractors upfront – it just depends what you can negotiate. The payment cycle process can be long, especially if you’re dealing with a larger company who have complex payroll practices, so it’s in the interest of both you and your client to raise invoices as soon as they become due. It is standard practice that you agree payment terms in advance. Making an invoice is not too difficult – you can even search and download invoice templates online. There are several important elements that your invoice needs to contain. The list above is particularly applicable to contractors who get paid after the work is completed but you may have negotiated different payment terms with your client. If you’re on a job that is likely to last a lengthy period, you can invoice for your time once a month, even if the job is not yet completed. Recruitment agency payment terms mean you will get paid regularly, either weekly or monthly – make sure to check how your agency handles things before you start your assignment so that you can plan your finances accordingly. Contractor Supermarket ensure that there are adequate data protection policies and procedures in place should your data be transferred outside of the EEA, Your data is stored outside of the EEA and Contractor Supermarket have data protection policies, procedures and safeguards in place to protect the security of your data. To withdraw consent– you may withdraw consent to the processing of your data at any time , you can withdraw this consent by emailing or calling the following: [email protected] add phone number (hotline) and To complain – if Contractor Supermarket do not satisfactorily deal with your complaint you can complain to the Information Commissioner’s Office.